This fun and informative section of our website is designed specifically to recognize those Loveland Chamber investors who not only reap the benefits of chamber participation, but also contribute back for the good of the entire Chamber community. 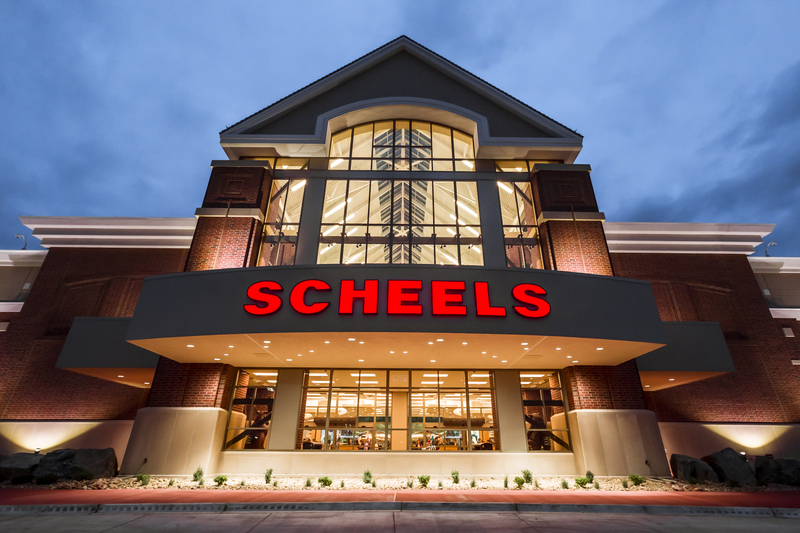 “In 1902, it all started with three acres of potatoes where the seed for the first SCHEELS store was planted. With $300 earned from his first harvest of potatoes, German immigrant Frederick A. Scheel placed a down payment on a small hardware and general merchandise store in Sabin, Minnesota. Once Frederick Scheel recognized his astonishing success with his home and hardware store, he began to expand SCHEELS into surrounding communities. Today, SCHEELS is one of the largest sporting goods stores in America with over 115 years of retail experience with a superior quality of customer service and philanthropic support. As an employee-owned, privately held business, SCHEELS dedicates their consistent success to empowered associates, leaders, and partners who think and make decisions for their individual stores and the entire company. SCHEELS also gives back to the local communities, donating more than 10% of its profits to local charities and local non-profit organizations.